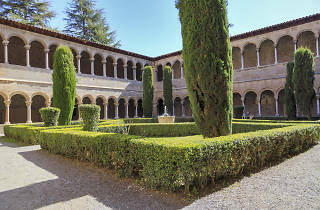 This monastery, founded around 880 by the count Guifré el Pilós (Wilfred the Hairy) on a site that may have had a Visigoth-era religious building already on it, became the burial place for the counts of Barcelona and Besalú; it was also an important cultural centre and scriptorium in medieval Catalonia. A little later, the town of Ripoll was transformed into one of the national symbols of the Catalan Renaissance, and in the monastery's restoration (a project promoted by bishop Josep Morgades), it's possible to find the most vivid example of the discovery and recovery of Catalonia's first artistic style: Romanesque. 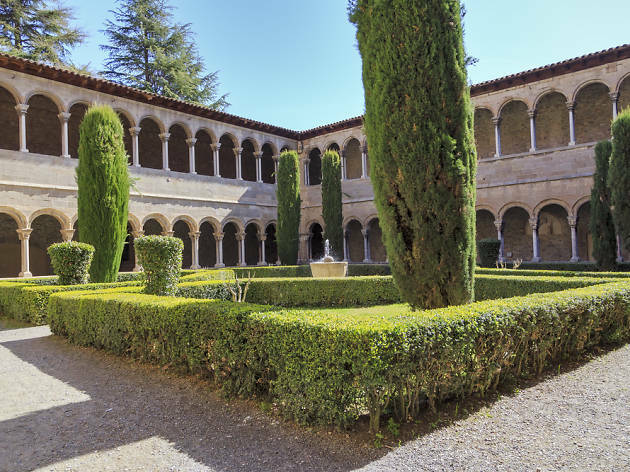 If you get the chance to visit Santa Maria de Ripoll, you'll see one of the most beautiful and evocative buildings in Catalonia. The portal, the basilica and the cloister together make a unique construction, and an unmissable sight for art and history lovers.